Consumers and food producers alike can’t get enough of the great taste and health benefits of sprouted ingredients. As a food producer, there is something about the idea of taking a seed, and carefully orchestrating the process of germination to allow it to start to grow into a nourishing plant. Did you know that when germination begins, the nutrients inside of it become “unlocked” and available to feed the growing plant? The keys to unlocking nutrients are enzymes that are activated during the germination process. These enzymes also break down starches into sugars, creating a more digestible food source for us, but perhaps equally important, this process also makes for a way better tasting whole grain food! The bread category is where it all began for sprouted grains, and we are encouraged to see such a proliferation in the category. Recent data in the natural foods category shows that growth has begun to slow in bread and rolls, but growth continues in other grain-based food categories looking to differentiate themselves with the flavor and nutrition of sprouted grains. SPINS data from the fall of 2018 shows that sprouts are also shining in categories such as nutrition bars, crackers and crispbreads, frozen entrees and hot cereals. Just how much market growth is there for sprouted ingredients? Well, at Bay State Milling we decided to take a look and see what is going on in the market for sprouted grain based breads to see if this is true. Earlier this year we looked at IRI Multi Outlet data (covering most retail outlets except natural and convenience channels) for a 52 week period, and found some really interesting things. There were at least 157 skus of sprouted products just within the bread and rolls category, comprised of 40 different brands, plus a plethora of private label products! That’s quite a few varieties of sprouted bread products that have been launched in a relatively short time considering this category just started heating up a few years ago. Given this information, we decided to see what kind of growth this represented over the last couple of years, going back to 2016. We just focused on volume and found that the pounds of sprouted bread and rolls sold in that time period had a CAGR of about 5%-pretty impressive considering the total category of breads and rolls was flat to declining in the same period! This is just one slice of the baked goods category where sprouted can be used to deliver a better whole grain experience. We have seen even greater growth and demand in the foodservice sector, particularly in bagels and flatbreads at café’s and quick serve restaurants where they appeal to their core consumers of millennials and healthy moms. So, if you are not on the sprouted ingredients bandwagon yet, and you are getting discouraged by the sluggish performance of the “regular” bread and rolls category, it might be time to take a look at what sprouted grains can do for your brand. BeneGrain® is the largest line of sprouted grains and seeds in the industry, including identity preserved wheat varieties and ancient grains in conventional and organic formats. Check them out and see what grows! 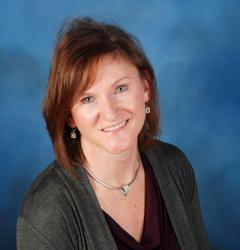 Colleen Zammer is the Senior Director of Marketing and Product Development for Bay State Milling. She is responsible for the development and commercialization of new products to support the company’s growth strategy in addition to demand creation for the comprehensive ingredient portfolio. Ms. Zammer holds a Bachelor of Science degree in Food Science from Framingham State University and a Master of Science degree in Innovation from the D’Amore McKim School of Business at Northeastern University. She is a member of the Institute of Food Technologists and the Product Development Management Association.